After not working on the epic barn project for 20 days, old man winter peaked his head up just to remind me what’s coming. It snowed a few inches in a night on October 9th… Last year we had snow on June 12th. Someone please tell global warming to hurry up, geeze. 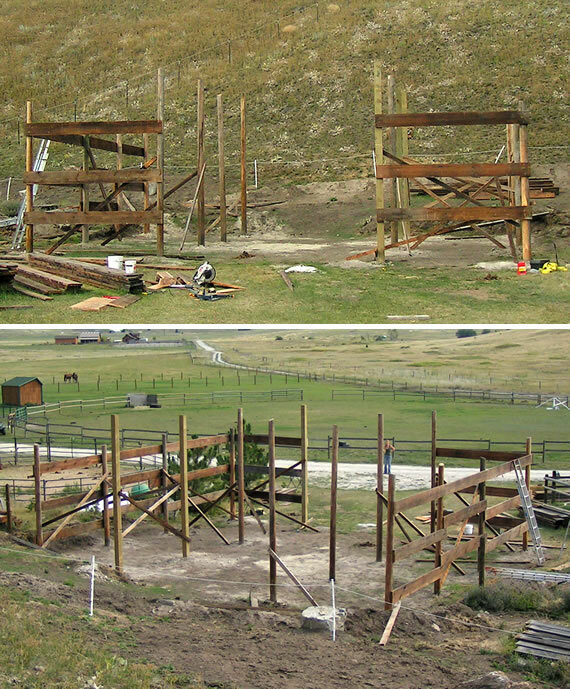 This Epic Barn Project won’t be of much help to anyone without a roof… especially if this winter trend keeps up. First things first: I called my good neighbor Buzz down for some quality construction advice and so he could chainsaw down the excess top of the support poles. It looks like a Barn! Hello everyone! 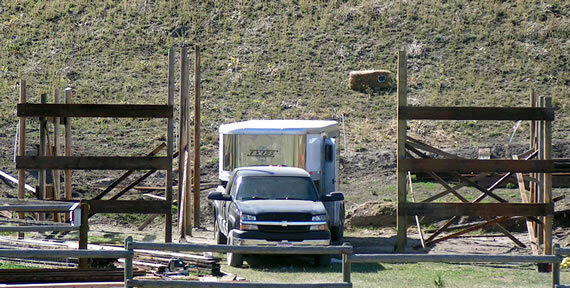 This is Geoffrey up in Montana, and I was given the honors to write a blog for my bro so he could go out and build his barn. In case you didn’t know, our family is here in Polson, Montana at the Ashton and Anna Headquarters, but this time the activities were epic! Ranging from barn raising to water skiing, the family has lined up for a week of fun and games in true Montana style, basically. A cool thing about our property is that half of it is pretty steep 20+ degrees, and the other half is almost completely flat. This allows for lots of different activities. Well, that melt off that I mentioned in my last post drained down our steep hill and made a small pond in the middle of our “flat pasture.” And the latest cold snap has frozen the pond into a small ice pond. If you’re interested in more back story: The previous owners lived in our current house for 1 year. The winter that they were here, the father had this great idea of dragging his children behind his vehichle on a tarp. I bet they had a blast, and it ended up killing a lot of the grass in a long strip. So now we have a fairly flat, slightly lower strip of land going through the middle of our pasture. It was this strip that now is home to our frozen puddle. Then we got tired of hiking that ridiculous hill, so we had Cory pull us behind his old Toyota Land Cruiser.